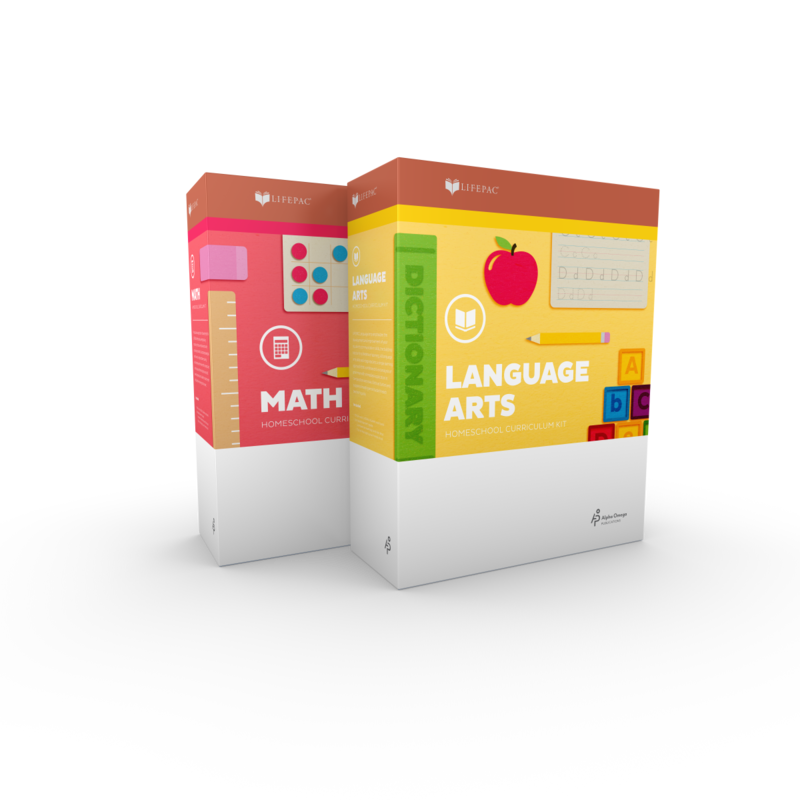 The LIFEPAC Kindergarten 2-Subject Set will help teach your child beginning Math and Language Arts concepts. Colorful, comprehensive topics include numbers, shapes, colors, sounds, upper and lowercase letters, time, and addition and subtraction. Each subject in this Alpha Omega curriculum has 160 worktext-based lessons with corresponding teacher's guides. Teaching the LIFEPAC Alpha Omega curriculum? Hunting for a helpful checklist so you can keep track of your student's goals? If so, you should try the Goal Check Record! 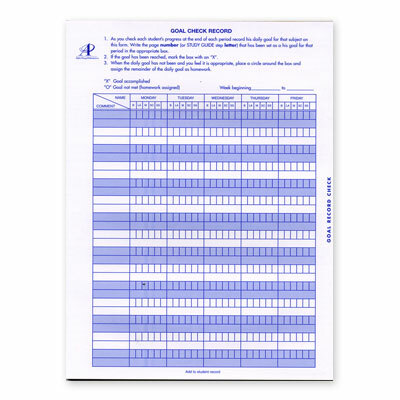 This checklist pad contains 50 columned pages, divided for each day of the week, for logging accomplished and missed goals for each studied subject. Measures 8 ½" by 11". The LIFEPAC Kindergarten Language Arts Set is a beginning language course which focuses on the key components of phonics as well as basic language skills. Two colorful workbooks filled with drills in consonants, vowels, and blending lay the foundation for reading, while a complete teacher's guide makes the road to reading fun and worry-free! A teacher's guide is included in this Alpha Omega curriculum. The LIFEPAC Kindergarten Language Arts Student Book 1 is filled with colorful, fun lessons. Fundamental topics in this Alpha Omega curriculum include the alphabet, colors, directions, grammar, listening, phonics, shapes, and writing. Eighty step-by-step lessons are included in this entry-level workbook, along with perforated pages and letter guide line bars. Want a bright, consumable student book to help teach reading and phonics? Try the LIFEPAC Kindergarten Language Arts Student Book 2! Beginner's topics in this Alpha Omega curriculum include phonics, consonant digraphs, final consonant sounds, word recognition, writing, and more! This student book has lessons 81-160 and has convenient perforated pages. 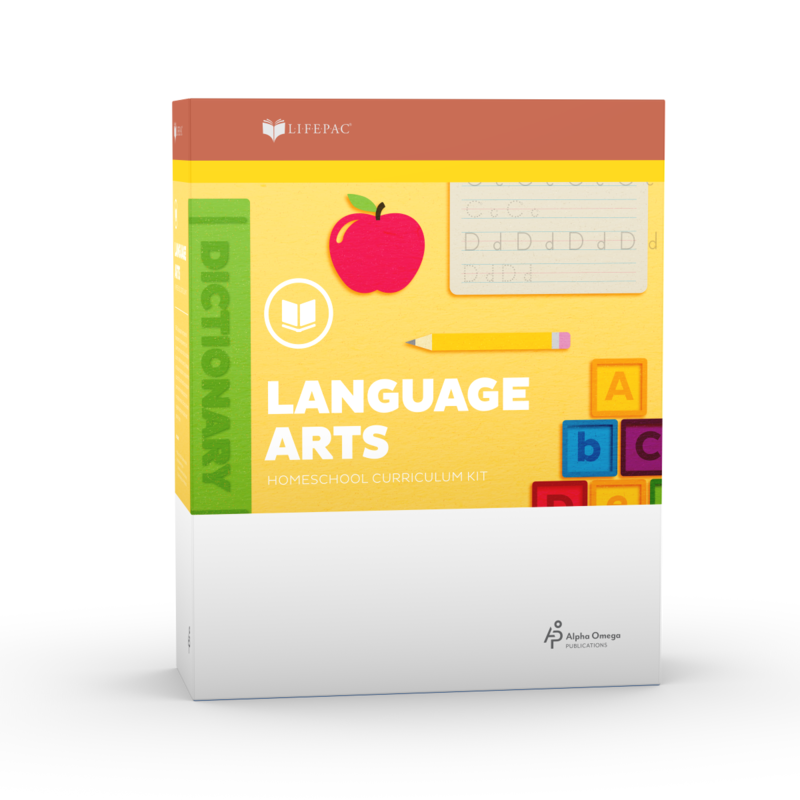 The LIFEPAC Kindergarten Language Arts Teacher's Guide is a complete, easy-to-follow resource! 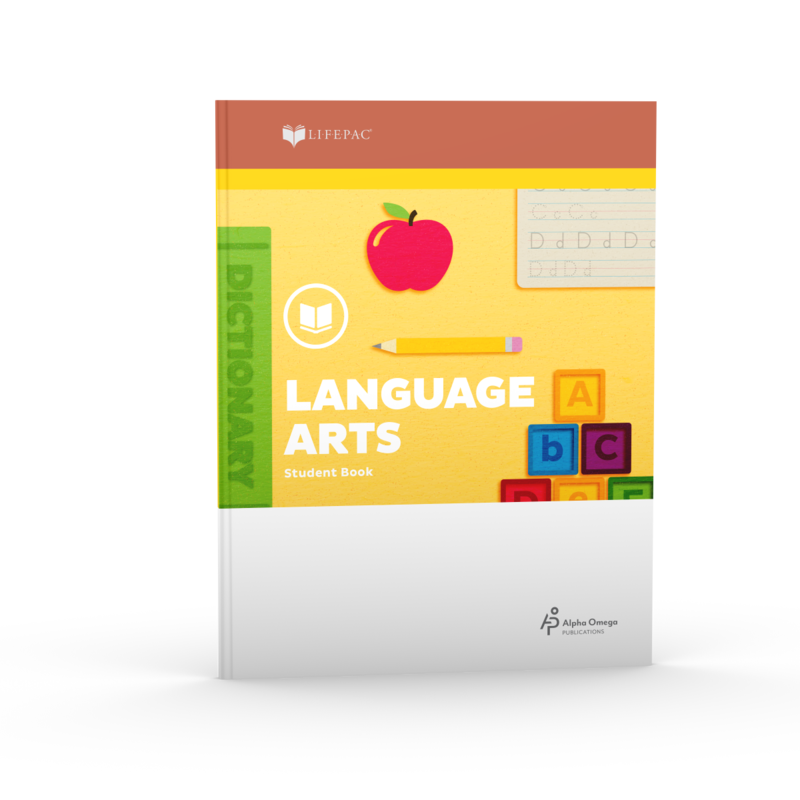 Made for teaching kindergarteners, this must-have guide assists with a LIFEPAC curriculum overview, lesson planning, objectives and activities, and more. This soft-cover Alpha Omega curriculum teacher's guide includes answers for lessons 1-160. Ready to teach LIFEPAC? But looking for a resource that will provide a clear Alpha Omega curriculum overview and will explain how to teach it? If so, the LIFEPAC Parent Starter Kit is your answer! 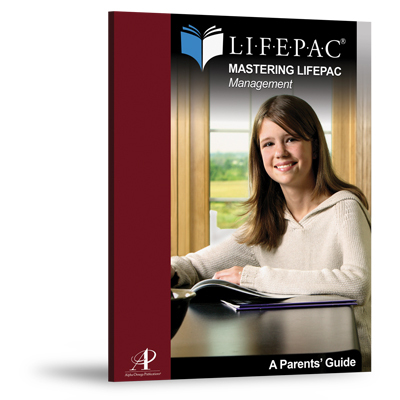 This must-have kit contains A Parents' Guide to Mastering LIFEPAC Management, a LIFEPAC Scope & Sequence, and a sample LIFEPAC worktext. Teaching with LIFEPAC? Need a place to keep your student's records? If so, the LIFEPAC Parents Cumulative File is what you need! 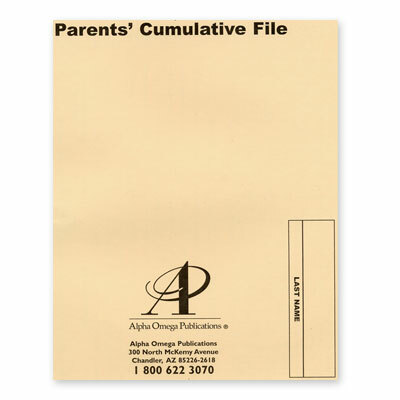 To help you maintain pertinent information, this Alpha Omega curriculum resource folder contains a yearly progress record, a medical history report, a high school academic projection form, and a checklist of records to keep. 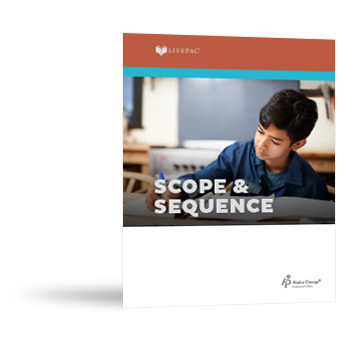 See what your student will learn by subject and grade with the LIFEPAC Scope & Sequence! 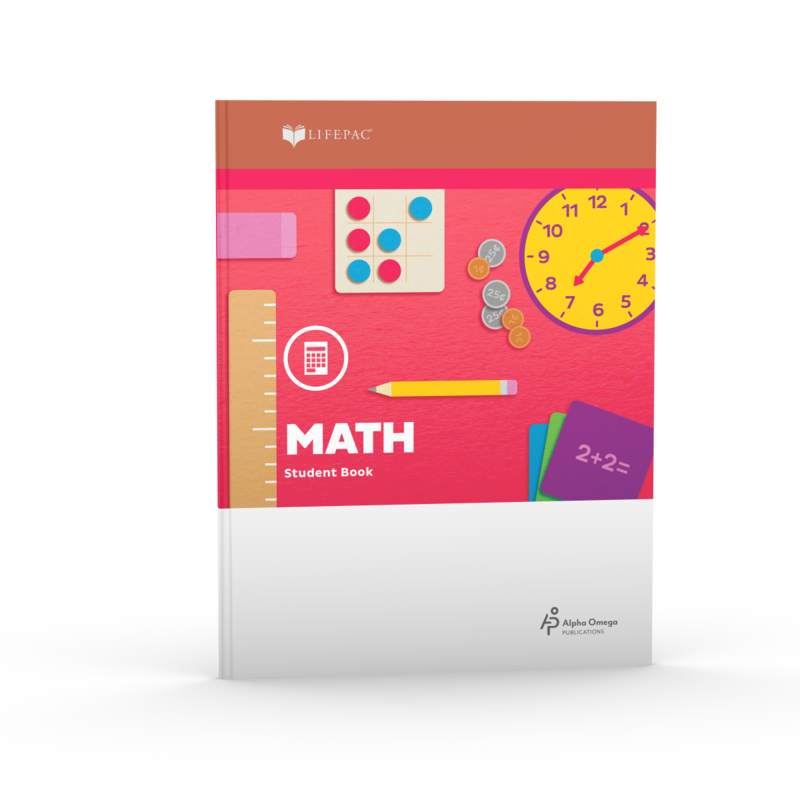 This soft-cover resource offers a complete LIFEPAC overview of topics and themes studied in every unit in grades K-12. All LIFEPAC elective topics also are included. Looking for a way to keep your students LIFEPAC grades, assignments, and work organized? If so, you need the LIFEPAC Set of 4 Student Record Books! These handy Alpha Omega curriculum resource booklets include column sections for logging test scores, daily assignments, completed work, and additional assignments. Each booklet covers one quarter. 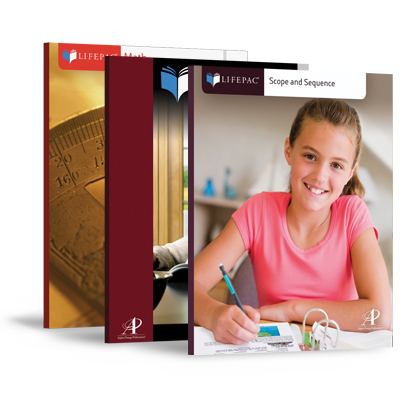 Teaching your student with the LIFEPAC curriculum? Need a little help keeping grades, assignments, and work organized? 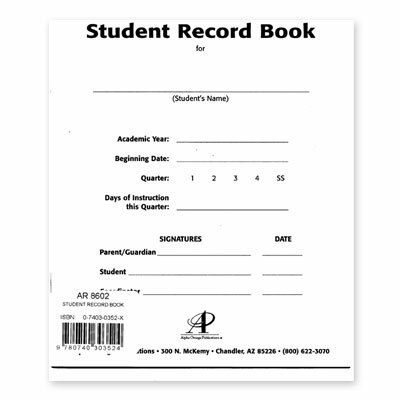 Then you need the LIFEPAC Student Record Book! This handy Alpha Omega curriculum resource includes column sections for logging test scores, daily assignments, completed work, and additional assignments. Includes pages for one quarter. 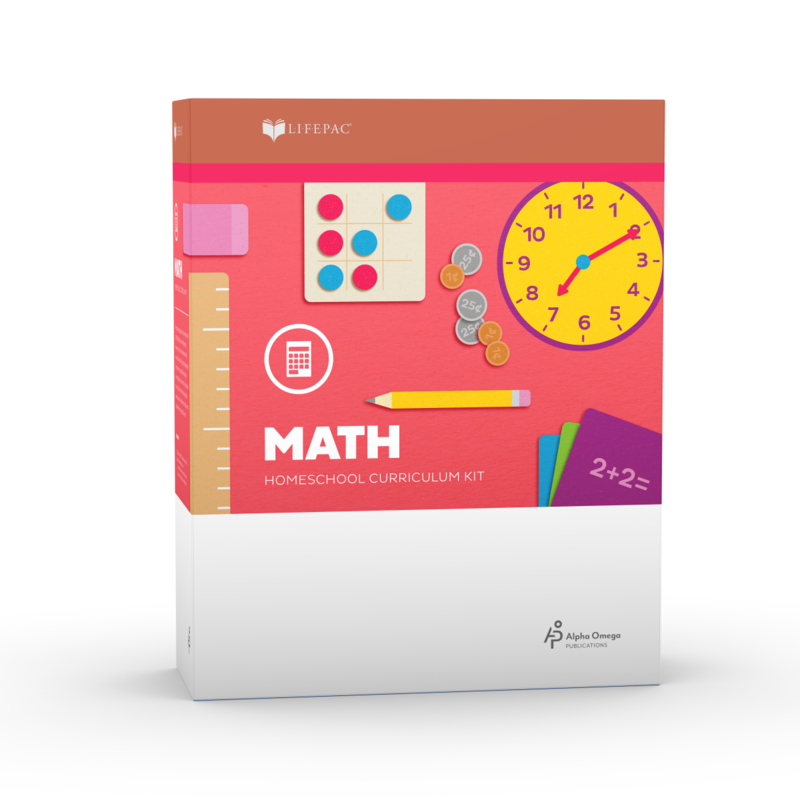 Start your child off right with LIFEPAC 1st Grade 5-Subject Set! 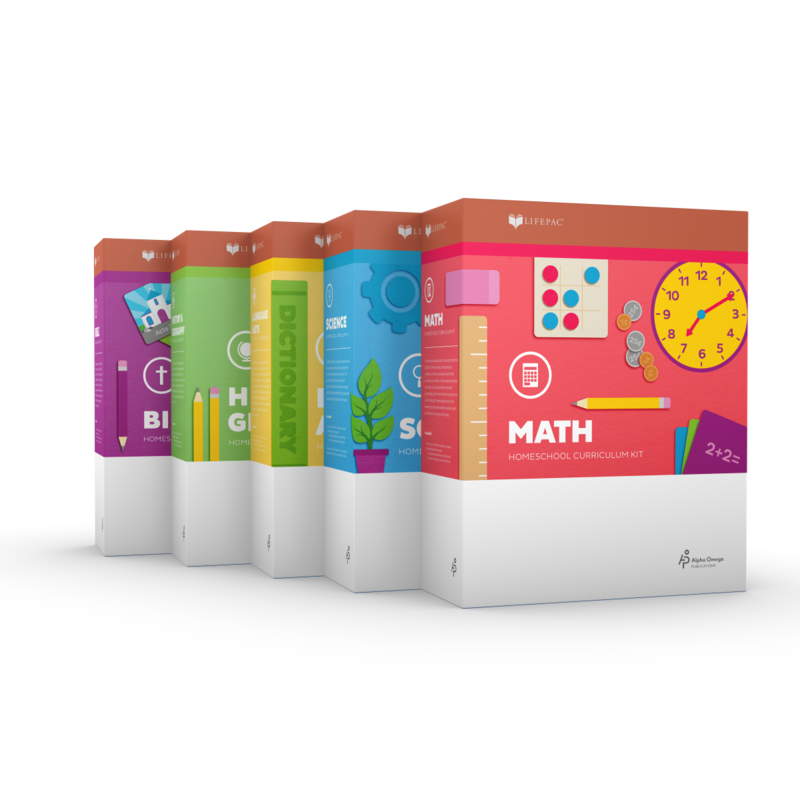 This colorful, all-in-one Alpha Omega curriculum set contains five complete, core subjects: Bible, History & Geography, Science, Language Arts, and Math for first grade. Each individual subject has ten worktexts and a teacher’s guide. 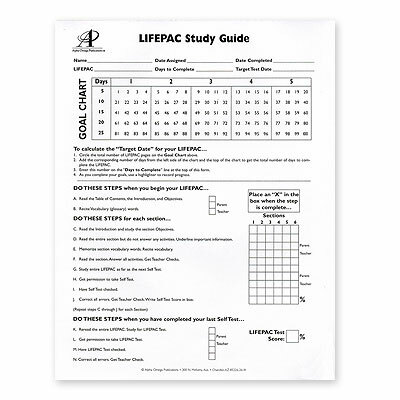 LIFEPAC lessons are flexible, self-paced, and Bible-based. Reading Basics, a set of five required beginning-level readers, are included in the Language Arts set. 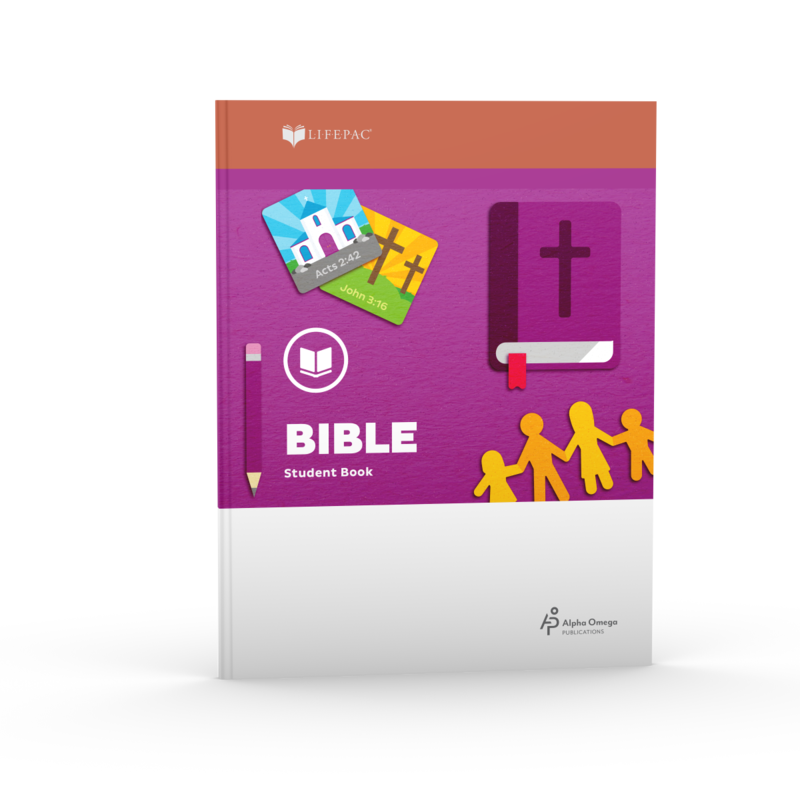 Want to teach your first grader the Bible with the LIFEPAC unit worktexts—but don't need the teacher's guide? Then get the LIFEPAC 1st Grade Bible 10-Unit Set! These ten consumable worktexts include Bible lessons for one full year. Each worktext in this Alpha Omega curriculum includes full-color lessons, self tests, and a removable teacher-administered test. It's never too early to begin instilling biblical truths in your child! 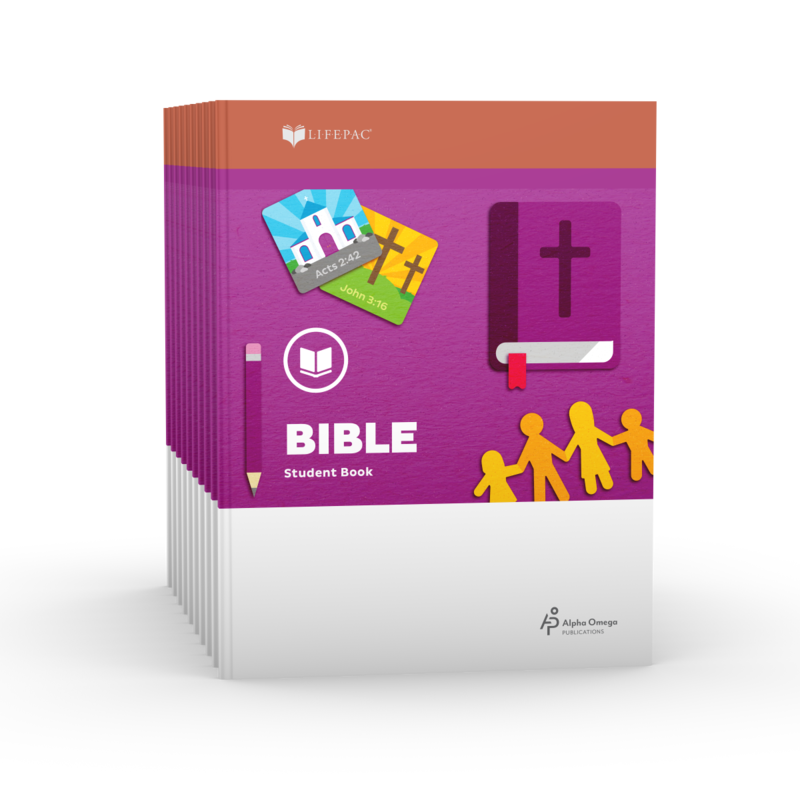 LIFEPAC 1st Grade Bible is a wonderful introduction to the Bible and its major themes. 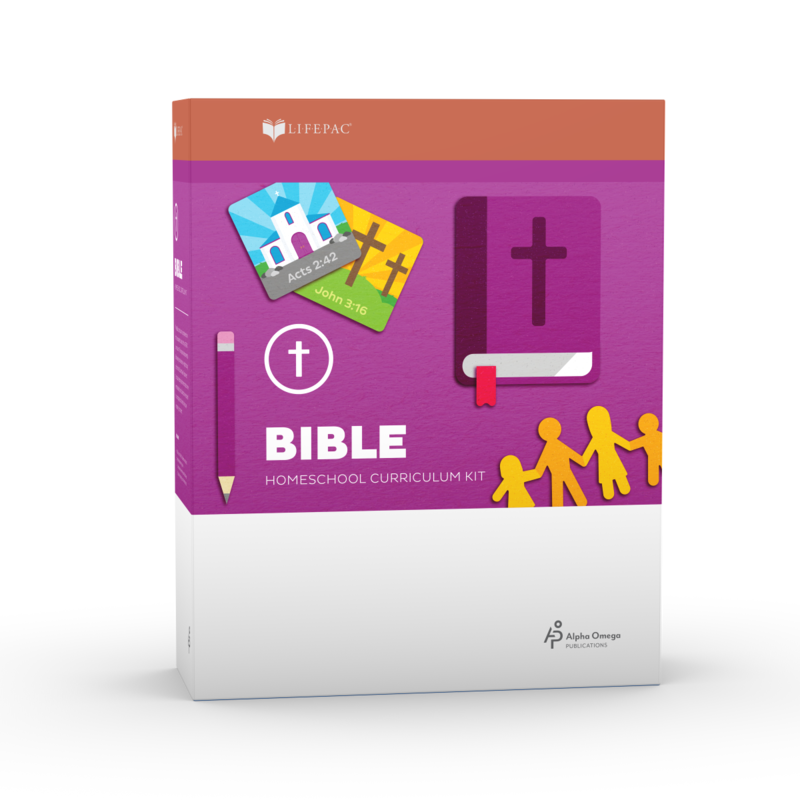 In this colorful homeschool program your child will enjoy learning about God's love, prayer, and Jesus. This Alpha Omega curriculum also covers Old and New Testament Bible characters like Jonah, David, Zacchaeus, and Paul. Are you teaching your first grader Bible? Need a little help? How about a step-by-step teacher's guide? Try the LIFEPAC 1st Grade Bible Teacher's Guide Part 1! This complete guide has an Alpha Omega curriculum overview, lesson planning, activities, alternate tests and worksheets, and more. Included are answers for lessons and tests in Units 1-5. Are you struggling teaching your first grader Bible lessons? Need a step-by-step teacher's guide to help? Try the LIFEPAC 1st Grade Bible Teacher's Guide Part 2! This complete guide has an Alpha Omega curriculum overview, lesson planning, activities, alternate tests and worksheets, and more. Included are answers for lessons and tests in Units 6-10. 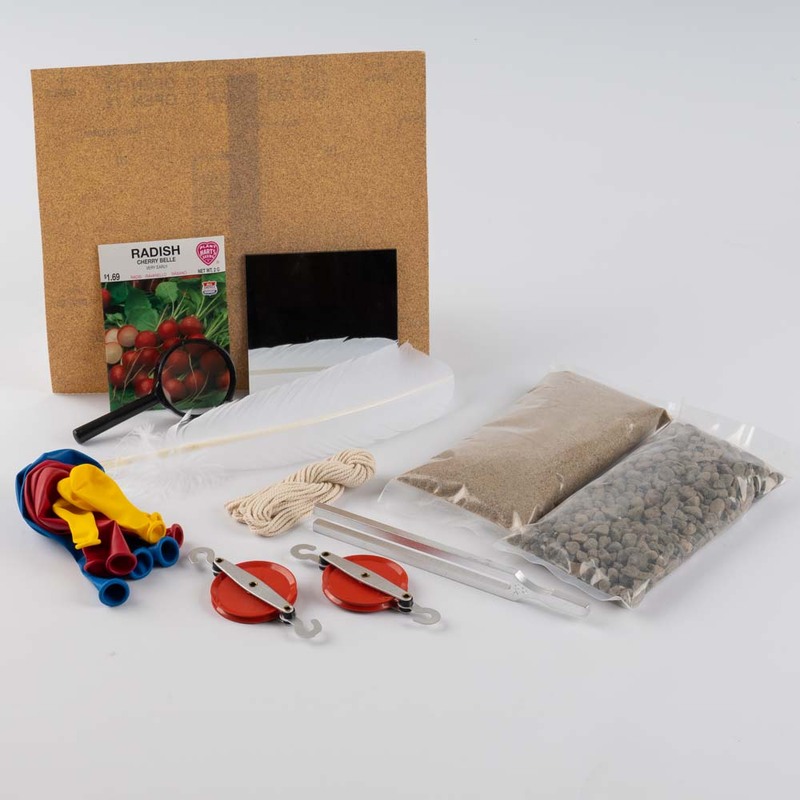 Ready to teach your first grader about God's creation? Then the LIFEPAC 1st Grade Bible Unit 1 Worktext is just what you need! This colorful, consumable booklet will help introduce your student to fundamental Christian beliefs. Topics in this Alpha Omega curriculum include day, night, land, water, plants, animals, and people. Three lessons and tests are included. Does your first grader know about God's wonderful gifts? If not, use the LIFEPAC 1st Grade Bible Unit 10 Worktext! This bright, consumable booklet will help teach and explain the wonderful gifts God has given to us. Topics in this Alpha Omega curriculum include God's World and creation, God's Word, and God's Son our Savior. Three lessons and tests are included.